CitruSolution Carpet Cleaning offers FREE pet stain removal in Rest Haven Georgia. We hate to use the term “stain,” as that usually means it isn’t coming out, so we prefer to say spot. Pet spot removal is probably more accurate. Either way, we don’t think customers should be penalized, or charged extra, for having four-legged family members. 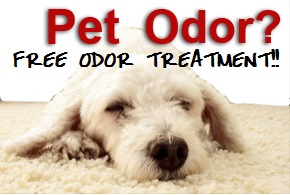 CitruSolution also doesn’t charge for pet odor removal. There are a couple reasons for this. The first reason is that whatever is causing the odor is probably in the pad and/or subfloor as well. And carpet cleaning can’t do much for either of those without pulling up the carpet to access the pad, which is basically a sponge, thus it’s very absorbent, and the subfloor. The subfloor is either wood or concrete, both of which absorb liquids. The second reason we do not charge extra for pet odor removal is again, we don’t think pet owners should be penalized, or charged extra, for having four-legged family members. The best way to take care of a pet stain is to prevent it from becoming a stain. Which means clean it up before it dries. A microfiber towel is the best thing to use for pet accidents. Microfiber towels are a lot more absorbent and pick up a lot more than traditional towels, rags, cloths, etc. So get up as much as you can with a microfiber towel, usually this means folding it up a couple times and put it over the affected area and apply pressure. You can stand on it, or use your hand(s). If it’s a LARGE liquid spill, it doesn’t hurt to get a Rug Doctor/Bissell carpet cleaner, but avoid all the different products they sell for them, and use it to clean it up. Try to keep the area damp so it doesn’t dry and set before you have a chance to get it up/out. Most carpet and upholstery cleaning services use pungent chemicals that are often used and disposed of without regard for the environment. CitruSolution uses its own proprietary cleaning solution manufactured with natural citrus fruits. 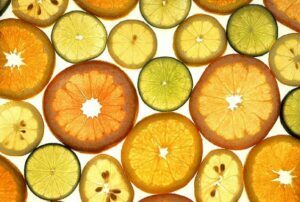 The naturally occurring cleansers found in citrus fruit don’t just help get your carpets cleaner and keep them smelling better for longer. They’re also less harmful on the environment. CitruSolution carpet cleaners can get your floors and upholstery spotless without wasting water or applying synthetic cleaners to the same floors that your pets and children make close contact with. One of the signature sales tactics in the carpet cleaning industry involves the cleaning company quoting a customer a certain price for a certain project. When the cleaner arrives, he carries out the specified work, but will try to pressure the homeowner to purchase a complementary service that may or may not be necessary. The cleaning service may also tack on additional fees they attribute to various expenses, which can come as a surprise at billing time. CitruSolution was built upon avoiding these shady business practices. We clean only the carpets you have specified beforehand, and will never try to up-sell you to an additional service you didn’t ask for. We also give “EXACT-imates” instead of “estimates” so you know what to expect. Lastly, we’ll never charge you additional fees just because we can. Citrus juice has long been revered for its cleansing and dirt-cutting capabilities. It’s used in dish soaps, grease cleaners and countless other cleaning solutions. Our Rest Haven carpet-cleaning professionals take advantage of the power of citrus. CitruSolution is a drier application when compared to other carpet cleaning solutions. You don’t have to worry about damp, mold-susceptible carpets when you choose a professional that uses only citrus carpet cleaner. CitruSolution cuts through soil and grease stains more effectively than the soapy solutions other carpet cleaners in Rest Haven use. CitruSolution keeps your carpets cleaner longer. Limited moisture means that deep stains aren’t drawn back up into the fabric of carpet surface. CitruSolution smells great. Your house smells like fresh orange peels after the cleaning professionals are done. Why Choose Other Carpet Cleaners? If you’re in Rest Haven, don’t waste your time with steam cleaners or other carpet cleaning professionals. You deserve a service that addresses your cleaning needs in the best way possible. You also deserve professionals who only deliver the service you need and don’t try to pressure you into purchasing services you don’t want. Our Rest Haven area carpet cleaners are here to answer your questions. Call 770.652.0630 to learn more about CitruSolution. 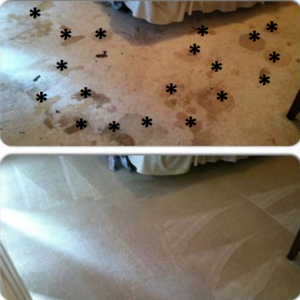 So when you need pet stain removal Rest Haven GA, please keep CitruSolution Carpet Cleaning in mind. NO PER SPOT FEES, NO UP-SELLS AND NO ADD ONS!